There is a new version of this course. Please see SAS® Visual Statistics: Interactive Model Building. This course introduces SAS Visual Statistics for building predictive models in an interactive, exploratory way. Exploratory model fitting is a critical step in modeling big data. This course is appropriate for users of SAS Visual Analytics 7.2 and 7.3. Before attending this course, you should have an understanding of regression and logistic regression analysis for predictive modeling. You can gain this knowledge from the Statistics 1: Introduction to ANOVA, Regression, and Logistic Regression course. 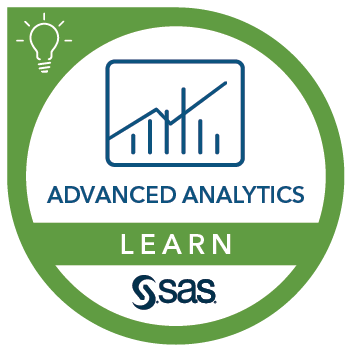 You should also have experience using SAS Visual Analytics, which you can gain from the SAS® Visual Analytics for SAS® 9: Getting Started course.